mmmmm - warm, fresh, root chips! I made beet, sweet potato, and carrot. Herein lies the art of chip making! Don’t worry it’s an art you can master. I only ruined about 1 carrot and half a sweet potato before I had it down. Ladle the chips out of the oil with a slotted utensil. 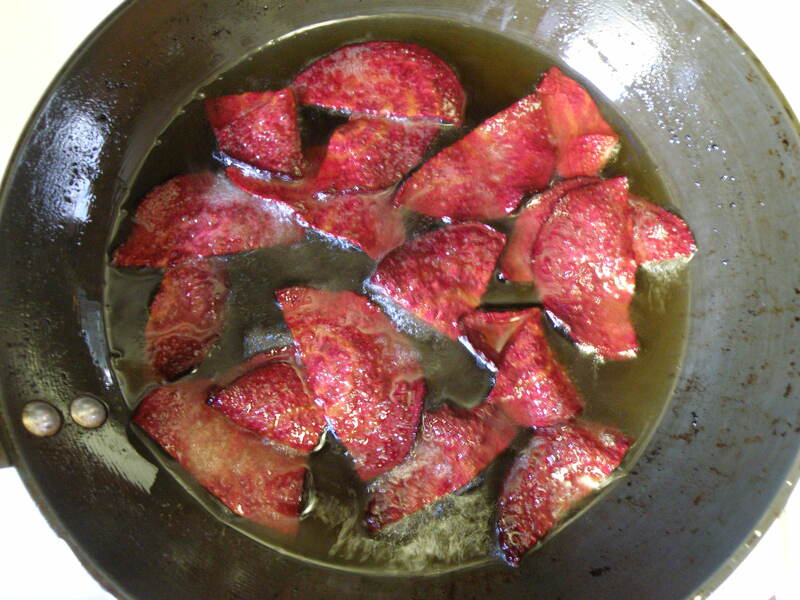 Drop them into a colander or screen sieve to drain the oil. While they are in the sieve, give it a few jolts to shake the excess oil from the chips. 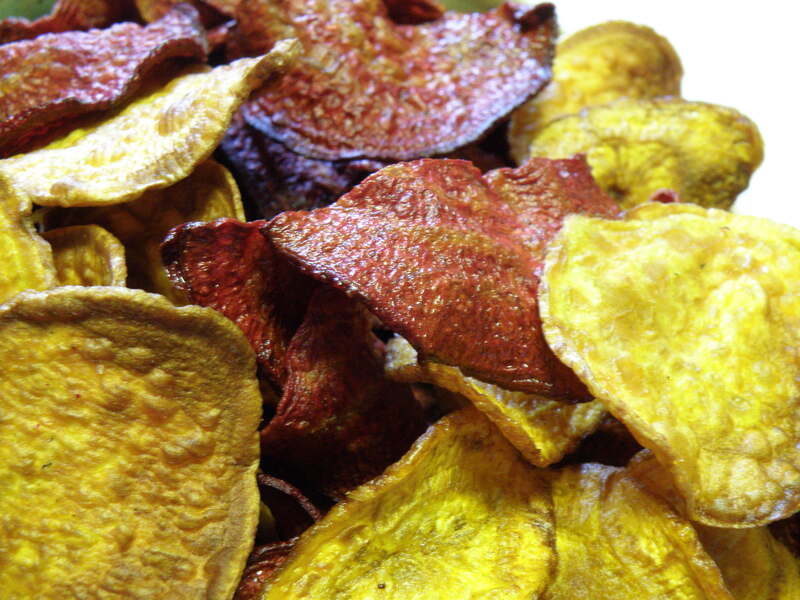 Shake on some salt or other seasonings to stick to remnant oil as you toss the chips. 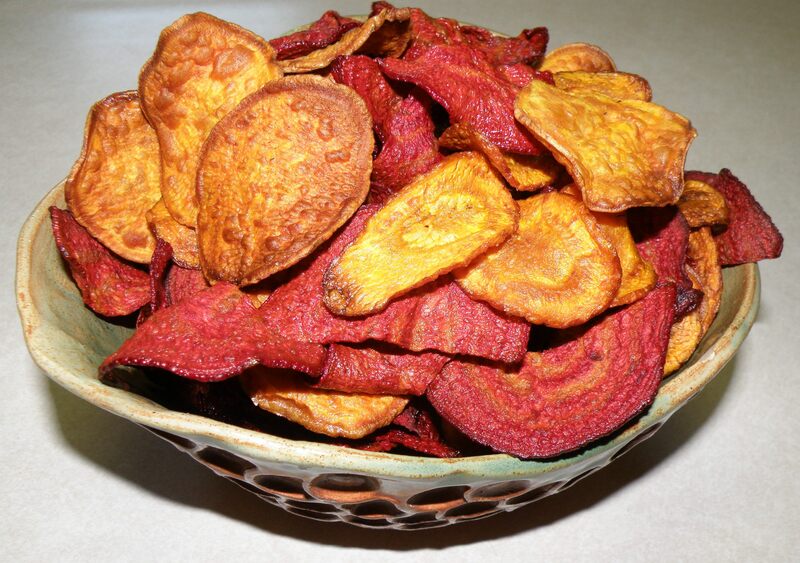 Shake chips out onto a paper towel to cool/dry and crisp up.